Make your photos look the same across all devices including mobile, desktop, tablets, etc. Start editing photos in Adobe Lightroom Classic CC (formerly Lightroom CC) and Adobe Lightroom CC today! 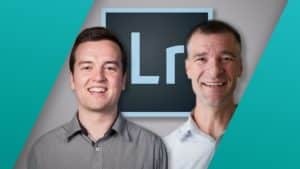 The only class you’ll find that covers Adobe Lightroom Classic CC, Adobe Lightroom CC, and Adobe Lightroom CC on mobile – it’s totally comprehensive and the only Lightroom class you’ll ever need. Whether you are using Lightroom CC, Lightroom Classic CC, or Lightroom on mobile this course will teach you how to use the program to its fullest potential.